I'm posting this on behalf of Oinkie on a picture he sent me. 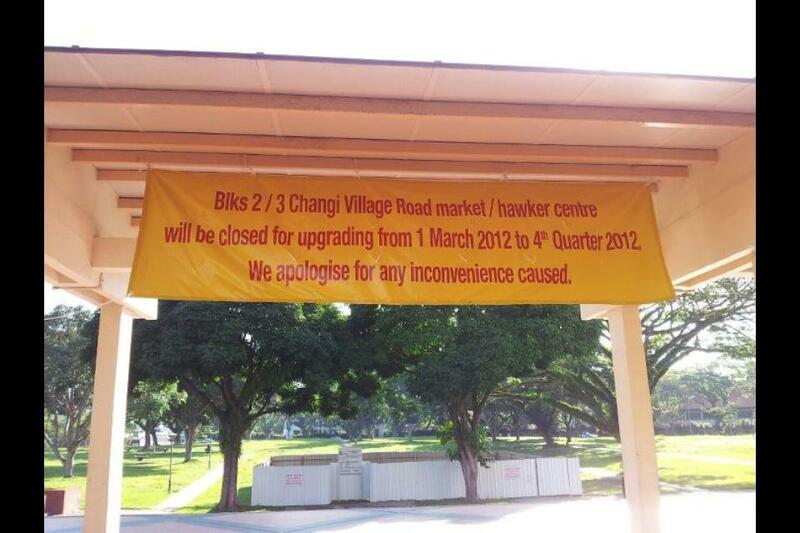 Changi Village market will be closed from 1st March to 4th Quarter of 2012 for upgrading. This is important for those anglers who usually buy food from there before heading out for a fishing trip. There's still a few coffeeshops around that area, so there's not much to worry about except the price increase of food from the newly upgraded hawker centre. Holy cow ... there goes my beef kway teiow ! I was thinking of going over and eat it for the last time before it closes for reno .. I hope the couple will return and continue to dish up beefilicous noodle when the center is ready to re-open later this year.